Triumphant Institute of Management Education Pvt. Ltd. (T.I.M.E.) is India's leading test-prep institute with a pan-India presence and is headquartered at Hyderabad. Established in 1992, T.I.M.E. today operates out of 240 offices located in 114 towns and cities across the country. 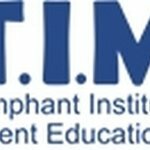 Over 40 IIT/IIM graduates form part of the core team at T.I.M.E. Started in a small room of 120 square feet on 26th May,1992 in Hyderabad with one centre, T.I.M.E. has just completed 24 years of service to the student community – helping to build a few hundred thousand careers along the way. From one office to 240 offices has been a long and satisfying journey for T.I.M.E. 's promoters who had chucked their high flying corporate jobs to pursue their dream and passion! T.I.M.E. 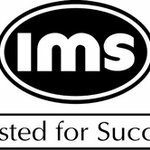 is today acknowledged as a multi-location, multi-programme training specialist run on corporate lines and offers a wide range of programmes not only for national and state-level entrance exams like the CAT, MAT, JEE MAIN and JEE ADVANCED, but also for international exams like GMAT, GRE, IELTS and TOEFL. Through its Campus Recruitment Training conducted at various engineering colleges across the country every year, T.I.M.E. trains thousands of students in aptitude tests and communication skills as a part of preparing them for their campus placements. T.I.M.E. also offers a unique IIT Foundation programme aimed at students of the classes 7th, 8th, 9th and 10th. This programme focuses on strengthening the student's conceptual clarity of the fundamentals in Mathematics, Physics and Chemistry. In keeping with its tradition of always maintaining a watchful eye on market trends and tapping them, T.I.M.E. has introduced training programmes for Bank PO & Clerical exams, SSC CGLE, GATE, CDS, CSAT(paper 2) and CLAT. T.I.M.E. has achieved an important milestone of training more than 18.5 lakh students since inception and over 1.5 lakh students in the last year alone for the various entrance examinations. When it comes to results, T.I.M.E. has always been head and shoulders above the rest. 2301 T.I.M.E. students who are a part of T.I.M.E. 's flag ship programme, the CAT, made it to the prestigious Indian Institutes of Management (class of 2016-2018). 11 T.I.M.E. students got 100 percentile in CAT 2015. Not limiting itself to entrance exam training, T.I.M.E. has also successfully forayed into the pre-school segment with T.I.M.E. Kids. The preschool chain has 200+ pre-schools in 50+ cities across 10 states - Andhra Pradesh, Gujarat, Jharkhand, Karnataka, Kerala, Maharashtra, Tamil Nadu, Telangana, Uttar Pradesh and West Bengal. The company is constantly diversifying and entering into new areas. It has acquired the English training institute, Veta. With 158 centres across India and having trained 1.8 lakh people during the past three years, to speak English fluently, Chennai based Veta is one of country's largest spoken English training institutes. T.I.M.E. 's performance in financial terms has been outstanding as well - it has grown from a brand turnover of Rs. 10 crores in FY 2001-02 to Rs. 313 crores in FY 2015-16. The key drivers of this success are T.I.M.E. 's commitment to students, its pan-India presence, its highly committed team of R&D professionals and its well-researched study material and unique pedagogy.